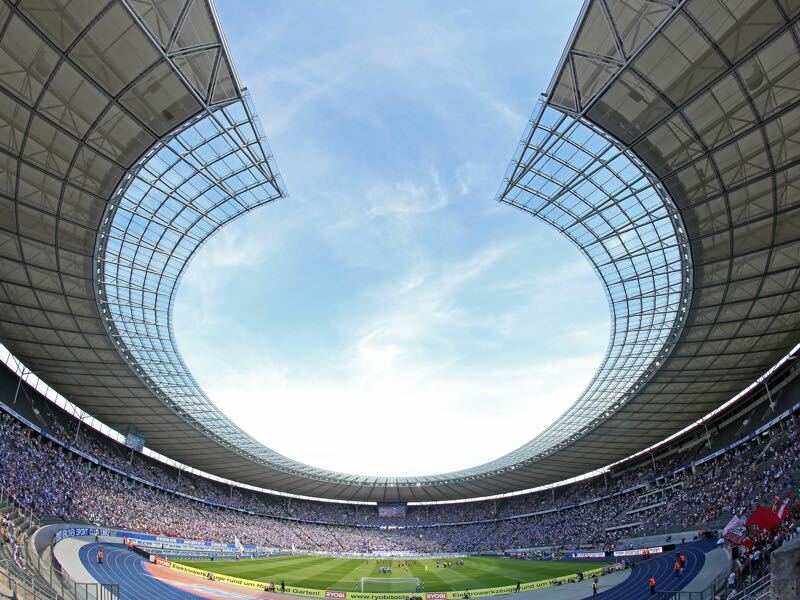 Hertha’s dream of their first team playing a DFB Pokal final at home at the Olympiastadion is still alive. 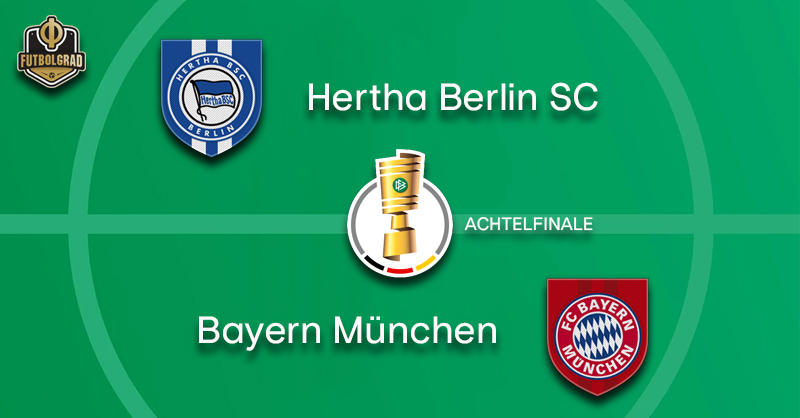 Hertha, of course, have reached the final on one previous occasion. But that was Hertha’s reserve side Hertha Amateure in 1993. That year Hertha’s professional team were eliminated in the round of 16 of the competition by Bayer Leverkusen. Bayer then also met Hertha’s Amateurs in the final winning that game 1-0. It was the only time Hertha reached a cup final. It is also from that year that Hertha’s famous song “Nur nach Hause gehn wir nicht (we will not go home)” was first introduced at home games. Hertha’s amateurs might have made the final as did Bundesliga 2 side Union Berlin — Union also won the FDGB Pokal in Germany in 1968. But no club in Germany’s first division located in Berlin has ever reached the final since it has found its permanent home in Berlin in 1985. “The cup final has been in Berlin since 1985 – in our city in our stadium. It is our dream [to reach the final]. Every player coming to our club carries that dream and can feel upon arrival. We desire to play that final,” Hertha sporting director Michael Preetz told kicker on Monday. “I didn’t even watch the last few finals. It is a fantastic event. But it would be even better if we would take part,” he added. Hertha are, in fact, a sleeping giant. Berlin is not only Germany’s capital but also the biggest city by population. But while the Olympiastadion is a fantastic facility the stadium is a bit too big for regular Bundesliga football. Furthermore, Hertha needs regular European football to grow. Currently, in ninth place winning the cup would be the fastest way to the Europa League group stage — especially after the 0-1 defeat to Wolfsburg on Saturday. “I have to analyse the game [against Wolfsburg] with my staff,” head coach Pal Dardai said on Saturday. “Thankfully, football isn’t the Olympics. We don’t have to wait four years to correct our mistakes. We have always looked good against Bayern in the past,” Dardai added. The Hungarian head coach is not wrong. Hertha are unbeaten in four games against Bayern and took all three points at the Olympiastadion in the Hinrunde. In order to take the game to Bayern Dardai is expected to change his formation from a 3-4-3 to a 4-2-3-1 to allow his side to press high against the Bavarians. High pace and transition through midfield is the key to success against Bayern. Leverkusen showed exactly those kind of attributes on Saturday in their 3-1 victory over the Bavarians. As a result, Bayern are seven points behind Dortmund and in need for a positive result against Hertha. The German magazine kicker asked whether Bayern, in fact, still have the mentality to win important games. This season Bayern dropped points in the top games against Borussia Dortmund, Gladbach and in the Champions League against Ajax. Hence, the Pokal matchup against Hertha is also going to be a test of wills for a Bayern side that is very much in transition between two generations. Those two generations are going to be very much on display as Frank Ribéry is expected to make his return to the side. On the other wing, Kingsley Coman will represent the new generation. Head coach, Niko Kovač’s job, is going to be to unify the two generations for the rest of the season before Bayern will have to undergo a hard break in the current squad. Until then Bayern are riding a fine line between integrating new players and also having to win games in order to keep the lid on further controversy. Not an easy task against a Hertha side that in many regards will test this Bayern side and could take this game all the way to penalty kicks where Manuel Neuer replacement Sven Ulreich will have to make the difference. 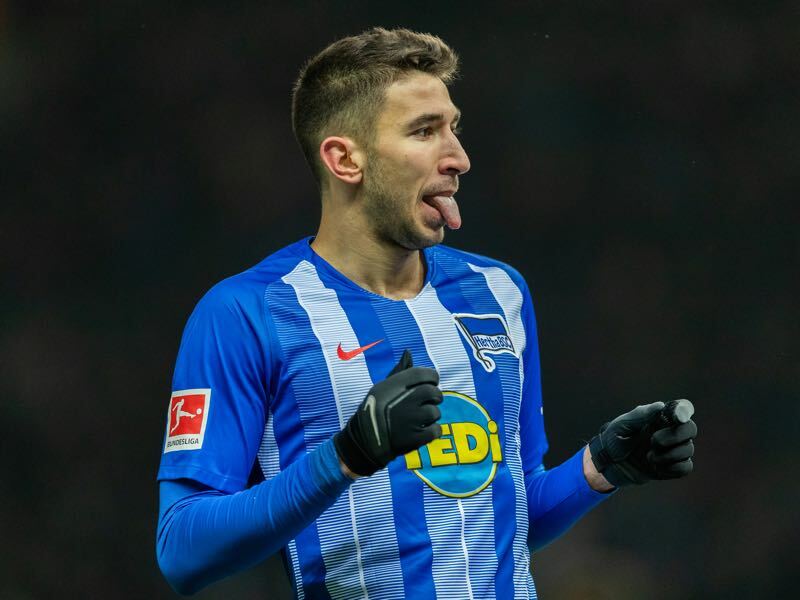 Marko Grujić has been Hertha’s key player this season. Going into matchday 20 Hertha did not lose a single game when the Serbian midfielder, who is on loan from Liverpool, was on the pitch. That run of nine games without a defeat ended for Grujić on Saturday, however. Regardless the central midfielder is an important player in Hertha’s midfield. “He is important for our game, without question. But we managed to defeat Bayern without Grujić in our side. That should not be forgotten,” Preetz told kicker. Grujić, however, should feature for Hertha on Wednesday, which, in turn, means that this Hertha side should be even better than the one that took all three points from the Bavarians in the fall. Manuel Neuer missed the game against Leverkusen and remains doubtful for the game against Hertha. The national team keeper trained as a field player on Sunday after he was diagnosed with a ligament injury in his thumb. “I cannot say exactly (when he will return). He would have played if he could but he was in pain. I’m not a doctor. If he was an outfield player, maybe he would have played, but he is a goalkeeper and his hand and fingers are very important,” Niko Kovač said about Neuer. That means that Sven Ulreich will be at the centre of attention on Wednesday against Hertha. 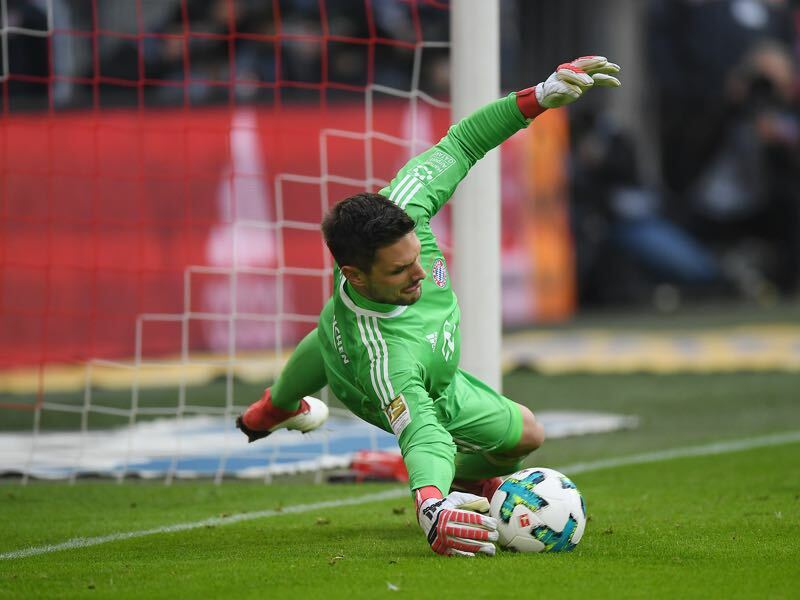 The Bayern backup keeper played his first game of the season on Saturday and had to take some of the blame for Leon Bailey’s free-kick equaliser. Hertha are undefeated against Bayern in the last four games (W1 D3). This is only the fourth meeting between the two clubs in the DFB Pokal. Hertha’s record in the cup competition against Bayern: W1 L2. All previous matches in the DFB Pokal have taken place in Berlin. Bayern lost their last away game in Berlin 2-0.